Great bone with brilliant wool is the best way to describe Nerstane 10. Comments written in the lambing book by Nerstane overseer Shane Rule at birth were: “Huge lamb, great skin, good bone”. N10 had a very strong head with a soft, pure muzzle that was also deep, wide and ‘sirey’. His wool tests at Dubbo as a 2 year old ram were 17.2 micron, 2.9 SD, 16.9 CV while having a bodyweight of 125kg. The width across his back from his tail to his poll is outstanding. N10’s progeny at Nerstane and in the Tasmanian and New England Central Test sites have been outstanding for fleeceweight and micron and also high tops and low culls. 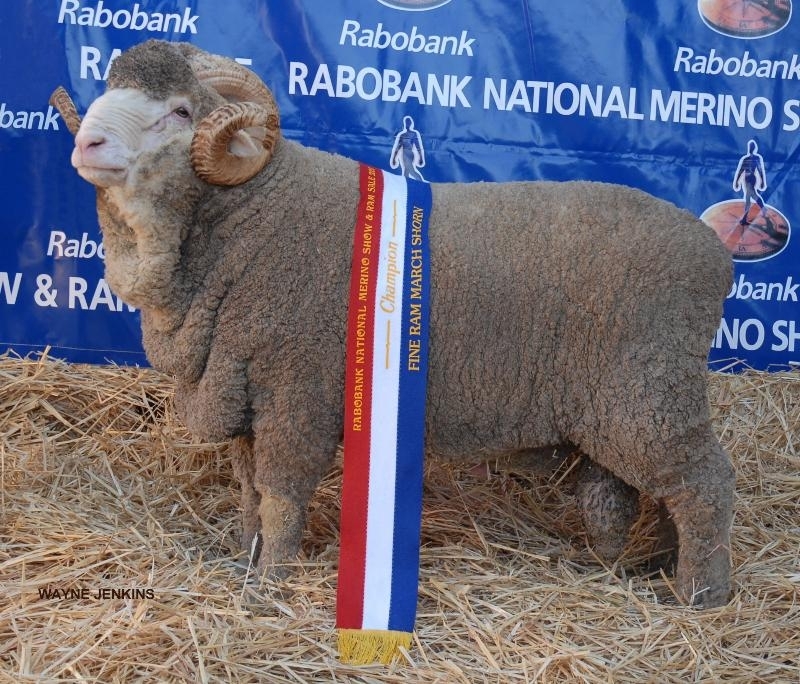 This ram was the sire of Nerstane’s 2011 NSW Ram of the year, N910.